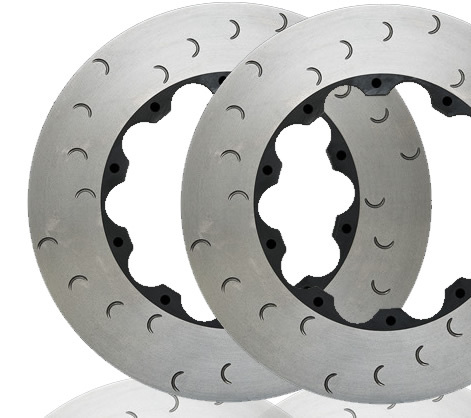 These discs have a wider air gap for less weight and better cooling than the standard Alcon/Stasis 355 x 32mm rotors. They are an exact fit. These discs are direct replacements for your Stasis/Alcon BBK. They will bolt on and are directional so you must order a Left and a Right. We also suggest replacing your brake pads and hardware when buying new rings. Replacing the pads at this times guarantees better rotor life and better break-in than using old pads.